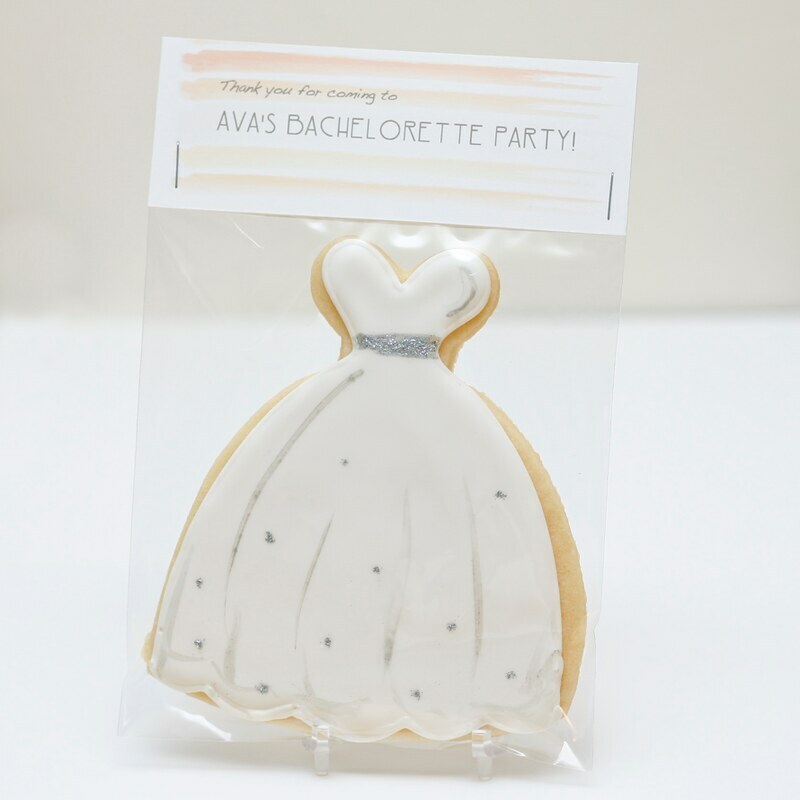 I did another small order of these glitter wedding dress cookies (which might just be named "Jillian" if I was like Amy Kuschel and assigned all my wedding dress [cookies] different names/personalities), but this time the cookies were for a Bachelorette Party in NYC ordered by the bride's friend. 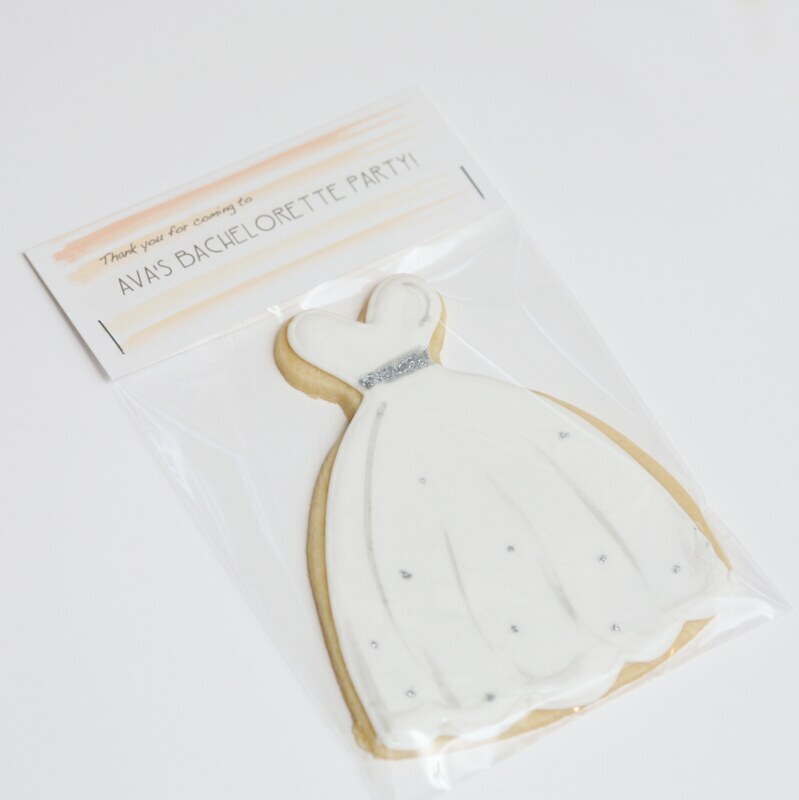 She had told me the bride's colors were peach, so I made these simple tags with a few shades of pink. I designed the stripes to look like watercolors. Yea, this was a few weeks ago... catching up on posts, people. Bear with me!